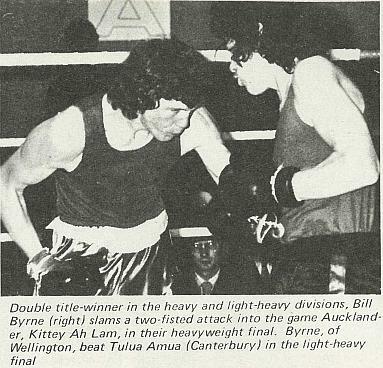 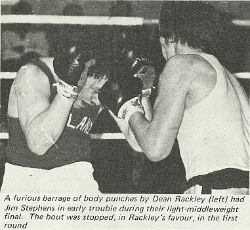 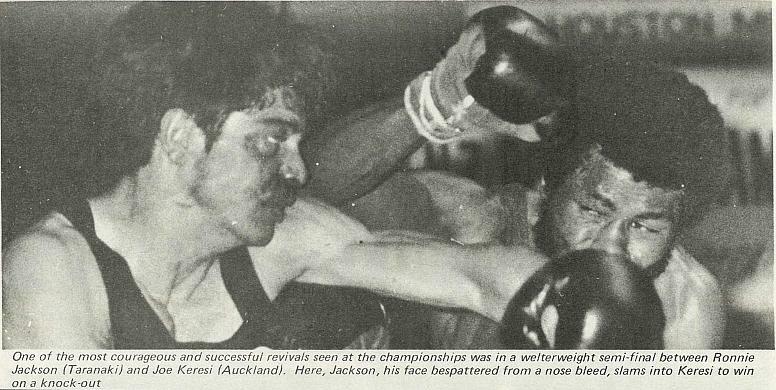 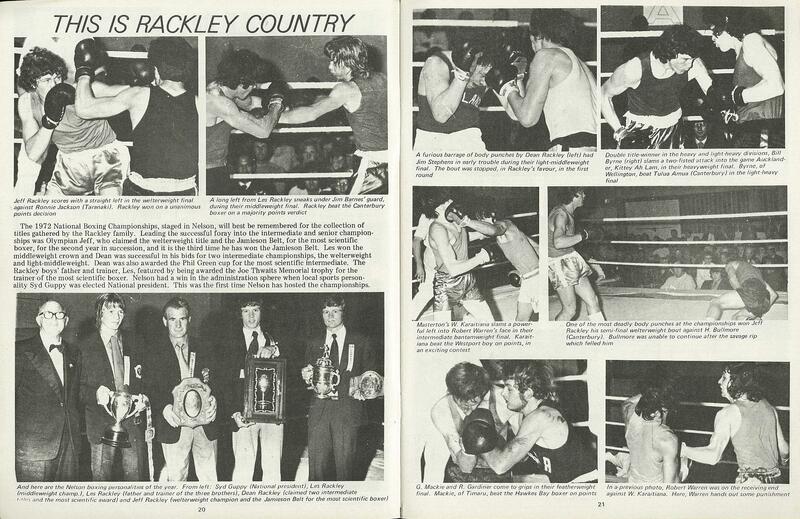 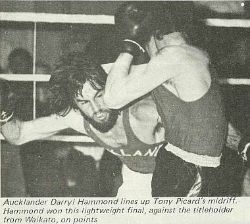 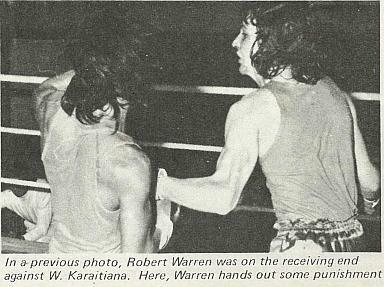 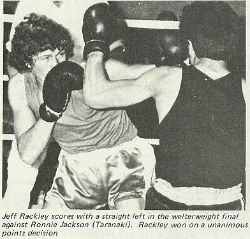 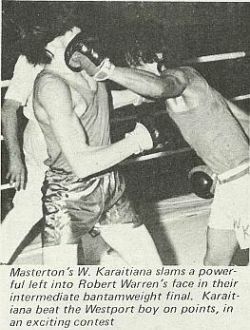 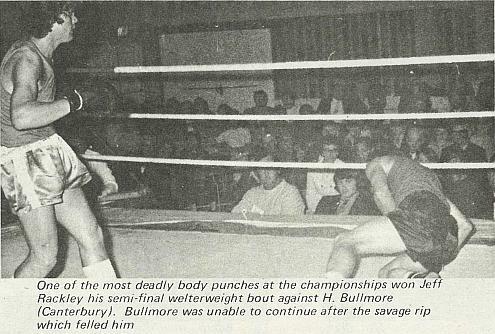 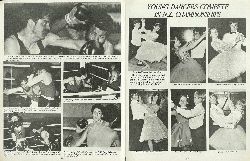 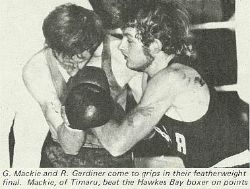 The 1972 National Boxing Championships, staged in Nelson, will best be remembered for the collection of titles gathered by the Rackley family. 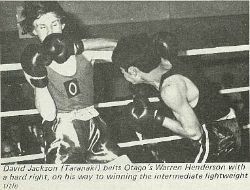 Leading the successful foray into the intermediate and senior championships was Olympian Jeff, who claimed the welterweight title and the Jamieson Belt, for the most scientific boxer, for the second year in succession, and it is the third time he has won the Jamieson Belt. 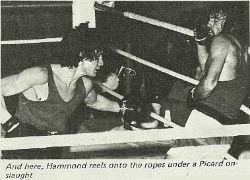 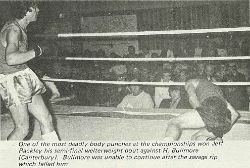 Les won the middleweight crown and Dean was successful in his bids for two intermediate championships, the welterweight and light-middleweight. 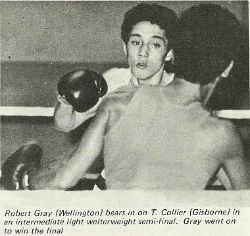 Dean was also awarded the Phil Green cup for the most scientific intermediate. 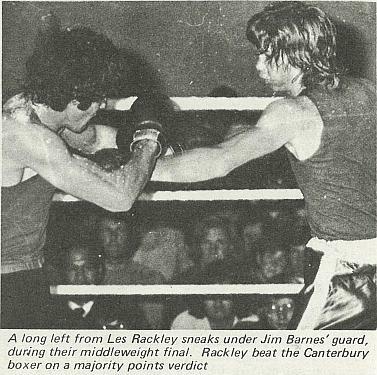 The Rackley boys' father and trainer, Les, featured by being awarded the Joe Thwaits Memorial trophy for the trainer of the most scientific boxer. 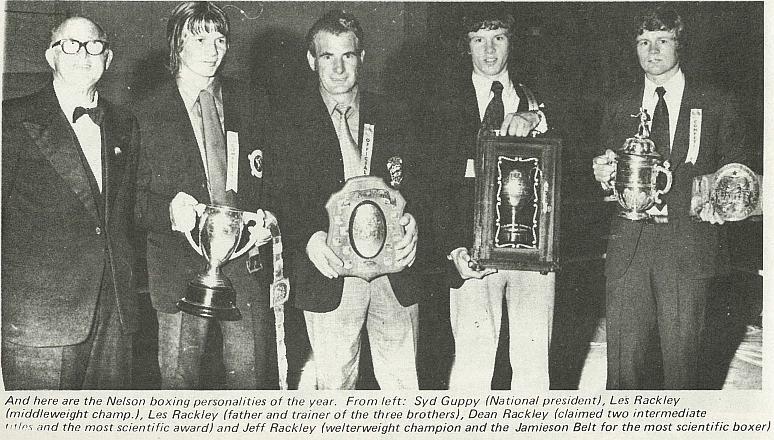 Nelson had a win in the administration sphere when local sports personality Syd Guppy was elected National president. 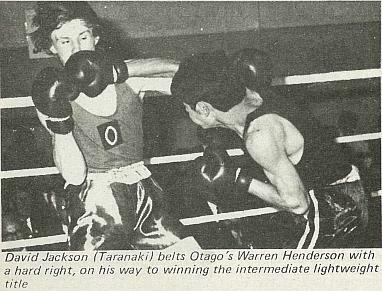 This was the first time Nelson has hosted the championships.